Itaú is one of the biggest banking institutions in Brazil. It’s forever ahead when it comes to delivering a brilliant user experience. EGGS was invited to co-create value proposition ideas for its future banking services, along with facilitating a megatrends workshop. Rapid tech advances provide consumers with new ways to simplify tasks, especially via digital channels. User experiences are continuously evolving. Nowadays customers expect to have easy and secure control of their money right in the palm of their hand. 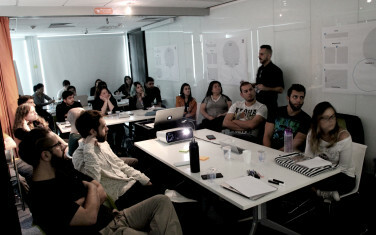 To develop future scenarios, it was crucial for us to incorporate trends in an ideation process. These scenarios will help lead our teams when creating new interactive tools and services for the benefit of customers. Bringing the future to people helps increase their feeling of connectivity and empowerment. Based on consumer behaviour patterns we combined megatrends such as Advanced Technology, Individualisation and Immaterialisation with banking for everyone, from children to the elderly. 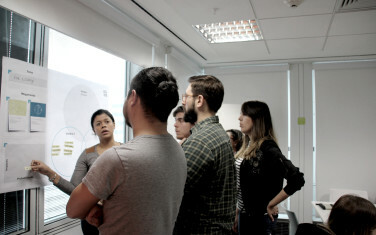 Together with a large number of UX/UI designers, we brought to life a wide range of value propositions for the continual innovation of Itaú’s banking services. These included ideas for new customer-centred apps, minimalising customers user-journeys, finance management and future planning. With Itaú, customers can always count on it being the most forward-thinking bank in Brazil.